We ran a Save our Services petition, which over a thousand people signed, the South London Press ran an article about our cause and we even got a mention in parliament. Now, finally, Network Rail has given us reassurances that there will be no significant reduction in our rail services into London Bridge after the opening of the East London Line Extension. Last Autumn, Network Rail published its draft Route Utilisation Strategy (RUS) setting out proposed levels of rail services from 2010. It clearly suggested a significant reduction in services to London Bridge. There were doubts too about the continuation of the current off-peak services to Victoria. Network Rail now says that the total number of trains between 7am and 10am will remain at the current level of 18 with only a slight adjustment to the present hourly spread of trains. All trains, they tell us, should be 8 carriages long whereas currently some are only 6 carriages long. The indications are that the present direct, off-peak services to Victoria may continue. At peak times, the extension of the East London Line to Crystal Palace will reduce journey times to Victoria and Clapham Junction, although this will involve a change at Crystal Palace. 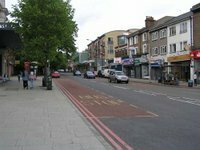 These services are dependent on the agreement of the Department for Transport and on its discussions with the train operators and Transport for London when the franchises are renegotiated in 2009. 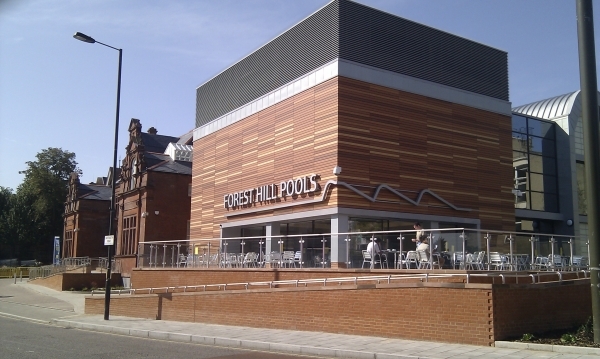 The Forest Hill Society will therefore continue to closely monitor the situation over the next couple of years to make sure that these revised proposals become a reality. It’s also very exciting to see Honor Oak Park and Forest Hill now appearing on Tube Maps across London! It may only be on a faint, dotted line at the moment, but come 2010 we will have an extra 8 trains per hour of 4 carriages on the East London Line Overground providing fast and regular connections to the Jubilee Line, Crystal Palace, Docklands and the East of the City of London. Other improvements include Oyster readers at all stations along the line. Commuters working in the east of the City, travelling on a direct connection to Shoreditch, will benefit from cheaper tickets by avoiding zone 1. The southbound platform at Forest Hill is to be made accessible to disabled passengers with money from the Department for Transport. On the negative side, all services between London Bridge and Forest Hill/Sydenham will be stopping services, removing existing fast services. From 2009, there will be no more through trains to Charing Cross. We will continue to press for 10 or 12 carriage trains into London Bridge to take into account the suppressed demand for rail services in this area. This would require the extension of all station platforms along the route. The Society is grateful to Jim Dowd, our local MP, and Len Duvall, our GLA member, who have lobbied hard in support of our aims. The Save our Services campaign was run jointly with the Sydenham Society. We would like to thank everyone who signed our petition.